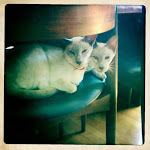 a lovely little life: Best week EVER. Thank God for photographer friends. Such a highly documented birthday party! Well hello again!! Miss me? This was sort of an unintentional hiatus from the blog, I just got busy. Busy with my KINDLE! Holy hell that thing is addictive. Me + Kindle + Library card = Entertained Loser. But something new happened today, something pretty exciting. Hulu Plus is now available on the Apple TV!! Oh TV joy! When we got our home alarm and monitoring system, we gave up cable to feel like responsible adults. It was the right decision. We can get Netflix on the Apple TV so I watched all the seasons of Parks and Rec, Jeff has been watching WWII documentaries, and Elsa is all over the Sesame Street. Hulu opens a whole new TV watching world for us now though, and for only $7.99 a month! So instead of reading tonight, I'm blogging on the couch and watching RomComs while Jeff's out on a dude date to watch The Dark Knight. 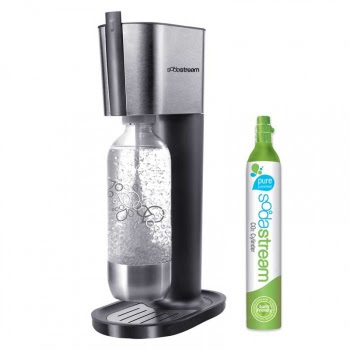 The other awesome and exciting thing that happened this week, was that we got a SodaStream! We've wanted one of these ever since we saw the one my aunt and uncle in Sweden have. I love sparkling water (with gas please) and we tear through a couple of bottles a week. We should have gotten one of these machines a long time ago. Each canister of CO2 is supposed to carbonate 60 liters, and you trade in the used canisters for filled canisters for only about $15. That saves like $45 right there, plus you're not wasting all those empty bottles. We trade in the canisters at the Staples up the road so it's just as convenient as going to the grocery store. And joy of all frugal joys, I got the machine on the sale table at Williams Sonoma for 50% off! DEAL! It's the Pure model and it's awesome. It's the small things in life, really.